Here is a commission that I particularly enjoyed making! The chunky piece of reclaimed solid pinewood was so nice that I decided to reduce the design to the minimum, simplest lines. 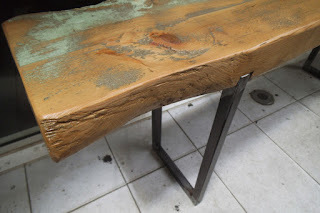 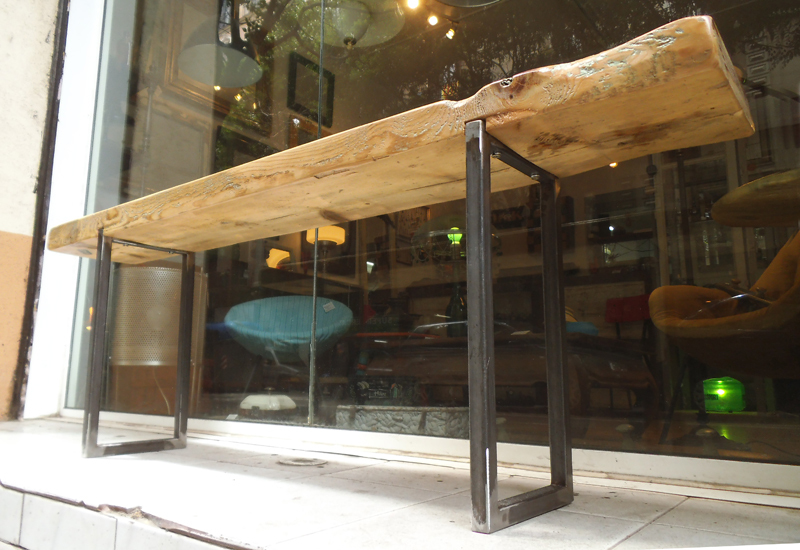 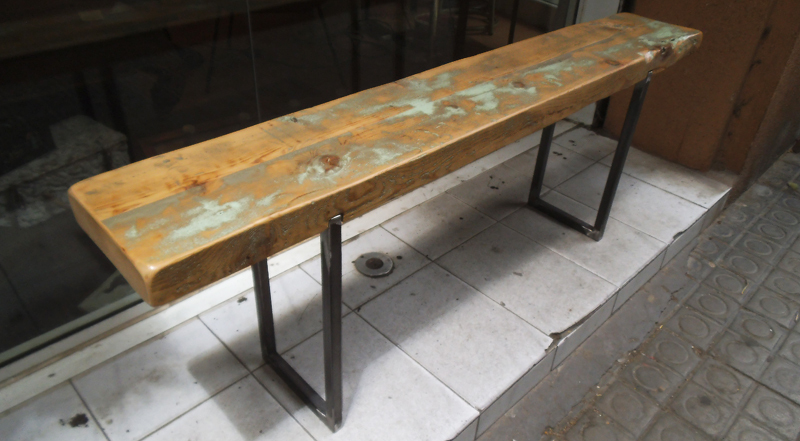 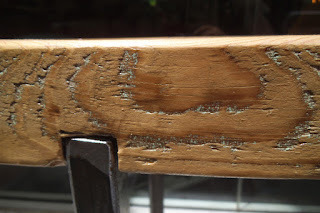 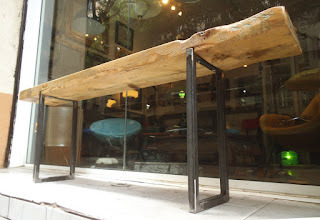 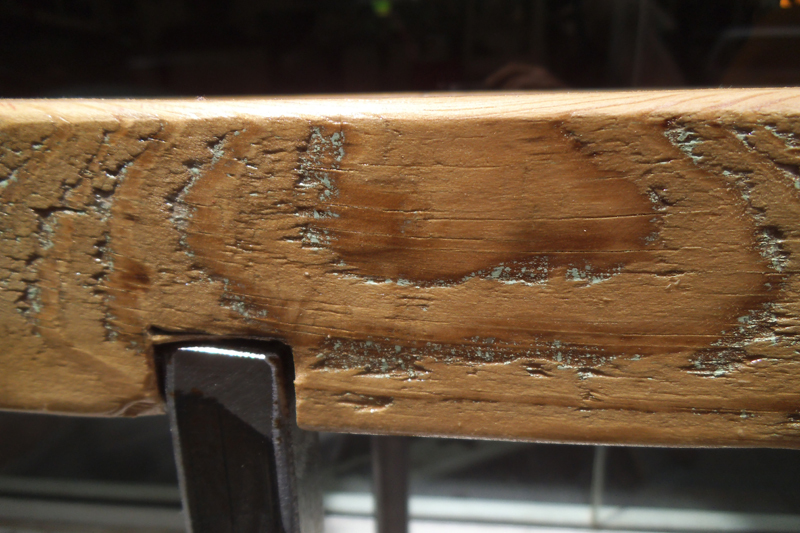 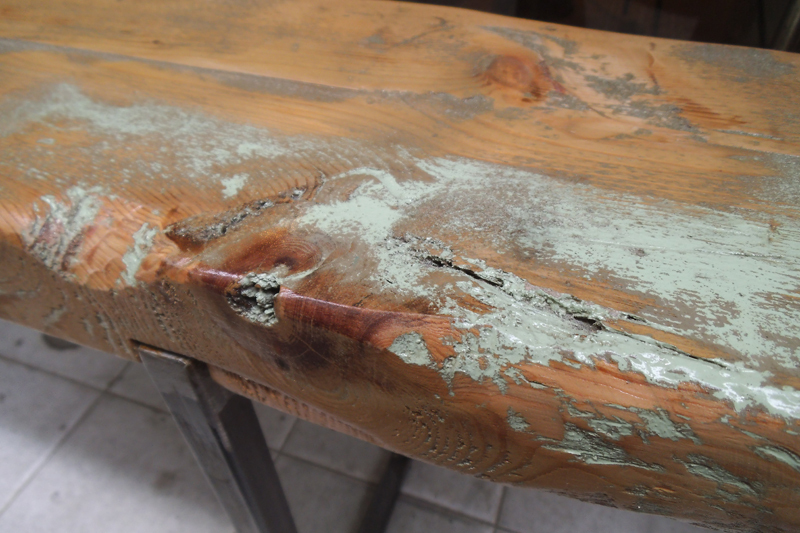 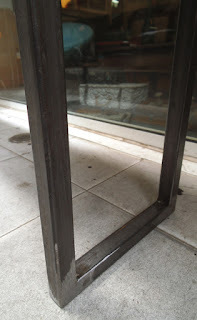 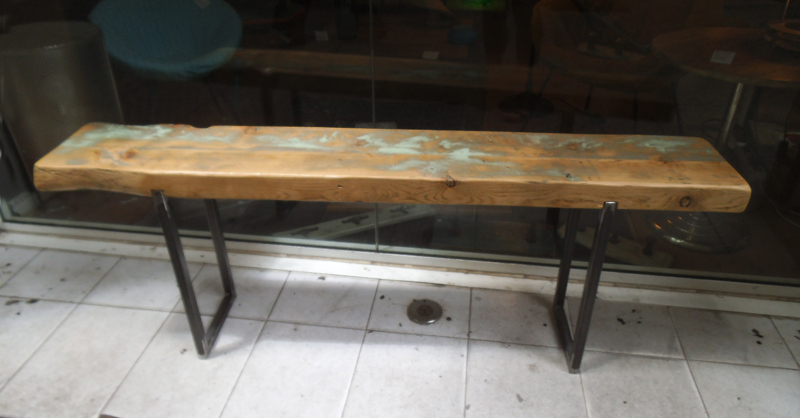 The legs, made out of square tube raw steel are embedded into the wood and then tightly secured with screws, leaving the the focus of attention to the beautiful surface of the wood, with its interesting grain and the remains of the original light green paint. 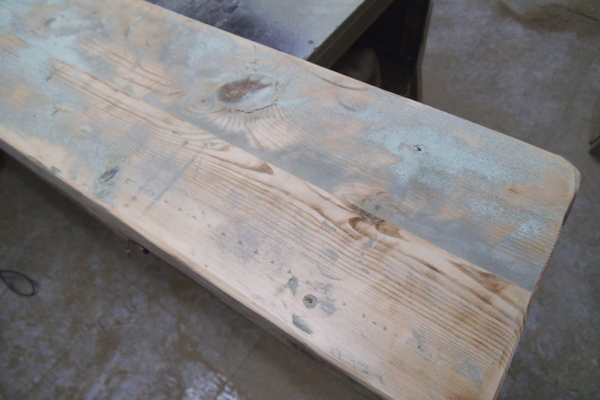 Measures: 120 x 20cm, 45cm high. 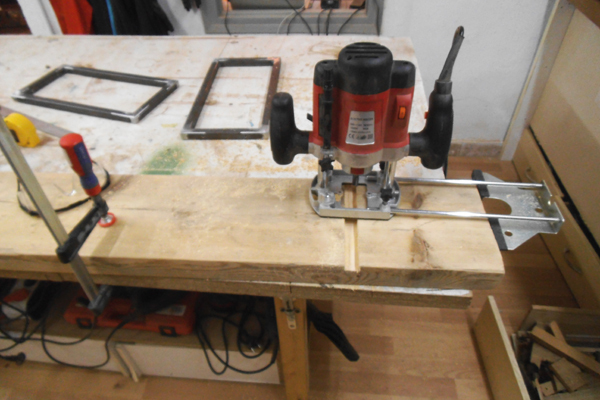 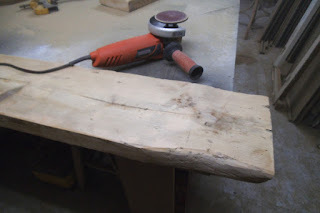 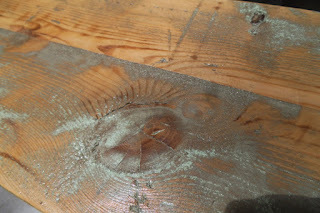 Some pictures taken during the MAKING process: cutting the piece of wood to measure, then sanding it. 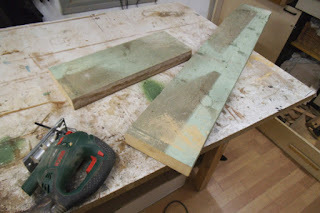 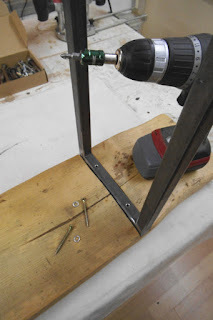 Rounding the edges and using the router to carve the groove for the legs. 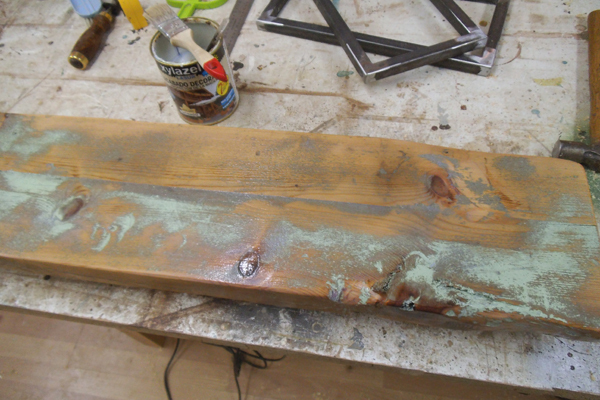 Sealing the wood with several coats of clear varnish and fastening the legs.